A defect that we commonly encounter when carrying out building inspections on dwellings that utilise suspended concrete slab construction is something known as “Concrete Cancer” or Concrete Spalling. This occurs when the steel reinforcement begins to rust due to exposure to moisture – the steel expands causing the surrounding concrete to crack and break away which in turn leads to accelerated corrosion of the steel. This visible defect not only looks terrible, but is a serious safety hazard and can severely compromise the structural integrity of the concrete slab. 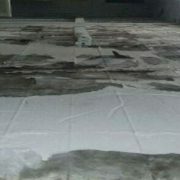 Common causes of Concrete Cancer include inadequate waterproofing to rooftop balconies or cantilevered structures exposed to weather; leaking pipes encased in the concrete; seepage of water through minor cracks in the concrete (particularly in coastal regions); or simply that the reinforcement was not adequately prepared (or too close to surface) at the time of pour. If spalling is occurring to a concrete slab in a home or apartment building, it is critical that it is identified and repaired in the early stages in order to prevent major structural damage and avoid significant repair costs. 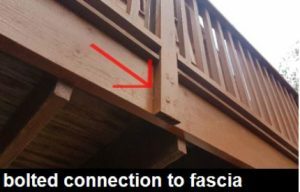 If left unattended for an extended periods catastrophic failure of the structure is a possibility that could lead to permanent injury or even death. 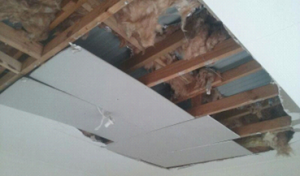 Recently one of our experienced inspectors carried out an inspection in the northern suburbs of Melbourne where the dwelling was approximately 50 years old however was in immaculate condition. No significant defects were noted throughout the course of the inspection – however the basement level and the garage were locked. It was fortunate that the inspector requested access to these areas and the keys were located. Sections of the basement were below a leaking external patio and the garage had garden beds above – both areas has significant concrete cancer (spalling) occurring to the underside of the concrete slabs and were going to require significant repair / replacement works. The client was able to make an informed decision and opted not to proceed with the purchase of this particular house. 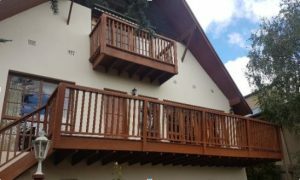 A number of recent news articles on balcony collapses is a critical reminder to anyone holding gatherings on their decks or balconies, it’s essential that they are maintained to minimise the chance of injuries or at worst fatalities of friends or family. 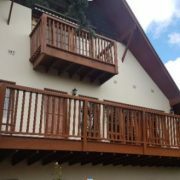 The concerning cases of balcony failure are becoming more and more common, and although the risks increase as the age of the structure increases, it is just as important that checks are carried out on new construction, and that documentation is checked – new buyers should request evidence of building approval, to confirm that balconies are built in line with the Building Code of Australia and relevant Australian Standards. Essentially the structure must be able to withstand the loads and stresses that would be reasonably expected to be placed upon it, and decks can easily be built without the statutory checks and balances. See article is a building inspection really worth it? With regard to existing structures, it is essential that any timber is checked for decay, weathering, rusted steel components or brackets, deflection, or other defects that can trigger failure of the structural members. Concrete balconies must be checked for cracking, spalling and corroded steel reinforcement. Large well-watered vegetation or pot plants can fast-track any deterioration, and a group of guests concentrated in a corner can instantly have devastating effects. In addition to the suffering incurred as a consequence of any collapse, there will also be costs to repair damage and the possibility of legal action that will need to be attended to. 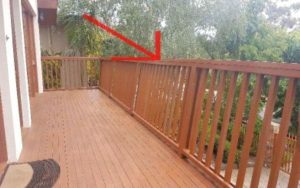 If you are looking at purchasing a house or apartment with a balcony, you might consider engaging an expert to provide a report specifically on the balcony. Here at Melbourne House Check we conduct very thorough Pre-Purchase or New Home Building Inspections which will always include checking the condition of any balconies or decks that are present. For most Australians, the most expensive cost in a persons lifetime is their home. When purchasing a house, the risk incurred by not engaging an experienced inspector to advise on the condition of the house is not something I would recommend. And having a carpenter / builder friend stick their head into the roof space or sub-floor is no alternative to someone who conducts inspections every day and knows what to look for when identifying major problems. The reality is that no house is problem free. They all have defects, and the purpose of engaging a specialist to conduct a Building and Pest Inspection, is to identify the seriousness of any problems. This will then allow an informed decision as to whether the house is for you or not. The main objective, is not just to identify the defects, but to provide clear advice to the client as to whether the dwelling is in an acceptable condition. And to categorise the frequency and/or magnitude of defects when compared to other properties of a similar age, and construction and whether they have been reasonably well maintained. For example, if you are buying a Victorian or Edwardian Era house (often over 100 years old), there are going to be a number of problems. Dampness in walls and past termite activity is not uncommon. The crucial matters that will need to be carefully scrutinised will be : Are there any Structural Defects to be concerned about? Has any past damage or issues been rectified adequately? What are the likely costs of future repairs? Has it been well maintained over the lifespan of the dwelling? Here at Melbourne House Check, our experienced inspectors are willing to have a thorough discussion upon completion of each inspection (either by meeting on site or over the phone) to explain any issues in a clear and simplified way, prior to writing up the report on the same day. We have also published a booklet titled House Defect Cover-Ups Exposed. It is a must have document for anyone considering buying a house anywhere in Australia and can be downloaded for free from our website. Within this booklet is a detailed list of the 20 most common house cover-ups that you need to know about when buying real estate. The booklet also includes a Building and Pest Inspection Checklist to help assist you when searching for a house. 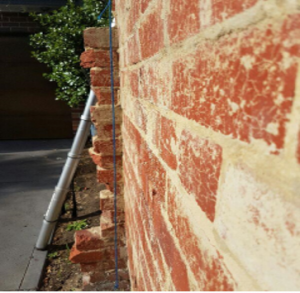 When undertaking a typical building inspection of a dwelling with brick or masonry cladding, one thing we always look at in detail is the condition of the brickwork. This can tell us alot about the condition of the foundations below. Cracked, leaning or rotating walls are a problem for many homeowners. These issues are normally caused by a foundation problem. If your foundation walls have begun to crack or lean, it may lead to other structural issues throughout the rest of the home. It is vitally important to watch for the signs of foundation movement. That way, you can contact a foundation repair specialist as soon as you notice the problem to avoid further damage to your home. Foundation movement can be caused by a number of reasons. The most common issue that we encounter is excess pressure from the ground around the foundation, caused by groundwater and/or poor drainage. This excess pressure causes the foundation to shift, and the cracks that open up can lead to further moisture penetration, and they will continue to deteriorate over time, or until they are repaired. An issue that one of our inspectors encountered recently at a building inspection in the northern suburbs of Melbourne, was where a garage had been demolished, but the common boundary wall was left in position along the driveway (kids playing cricket and other ball games against the wall). With the perpendicular walls and roof structure removed, the remaining wall lost all form of bracing, and it was noted by the inspector to be leaning excessively. The wall was deemed to be structurally unsafe and posed as an immediate safety hazard. Would you risk your safety or the safety of your family knowing that this wall could topple at any moment? It is not always obvious to the untrained eye whether such defects are a safety concern. It was fortunate that an inspection was carried out in order to avert potential disaster. If you are looking at purchasing a property or have a concern with the one you are currently occupying, Melbourne House Check conduct building inspections Melbourne wide. To the untrained eye, houses can look very similar in appearance – four walls, a ceiling, a floor and a roof. But to the house inspector, every little crack on the ceiling, or minor cosmetic defect on the wall could be an indication of bigger problems and require further scrutiny. Water in subfloors, poorly erected roof structures, and malfunctioning appliances are three issues that the average home buyer is unlikely to identify without professional help. 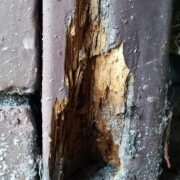 Upon identification of such defects by a house inspector, buyers have a tendency to panic and if the issue is not well explained or potential ramifications clarified adequately, the pending sale can be jeopoardised (if the purchaser gets cold feet) for what might be a reasonably uncomplicated or inexpensive repair. Here at Melbourne House Check, we pride ourselves on identifying all issues that may cause future problems in a particular dwelling, and conveying those findings to the client in a clear and simplified way. Upon completion of each inspection, our experienced inspectors will have a conversation with the client prior to sending the written report, in order to simplify what can be a very complicated process and detailed written report. During the conversation, we can also provide approximate costs of any repairs or rectification that will be required, so that the purchaser is prepared, and can budget for the future financial constraints. At a Pre-Purchase Building and Pest Inspection that was carried out this week by one of our experienced inspectors in the Northern Suburbs of Melbourne, it was identified that the hot water service was not in operation. The vendor insisted that it worked and that it had only been turned off because the property was vacant and deactivated in order to save power. 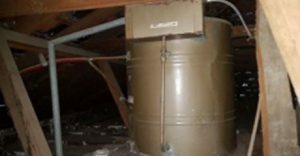 Upon closer inspection, the unit was found to be an aging, gravity fed, electrical, hot water unit located in the roof cavity. Whilst the unit visually appeared to be in good condition for its age, the report noted that the tank may be near the end of its serviceable life and may need to be replaced in the near future. The report also recommended further tests be carried out to ensure the unit functions as intended. The client followed these recommendations and found that the unit was defective and required replacement. 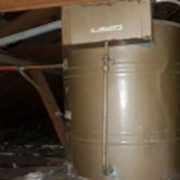 The vendor then agreed to install a new hot water unit prior to settlement of the property. 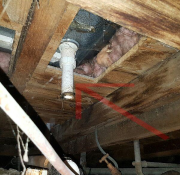 Had these recommendations not been made, the client would have discovered this issue after moving into the property, and be up for several thousand dollars to install a new hot water unit before being able to take a warm shower. The above issue is one of many things that can be overlooked when purchasing a property. It is essential that an experienced inspector who is trained to identify such problems is engaged to ascertain any such problems and provide advice on the significance of the issue. Melbourne House Check conduct inspections Melbourne-wide. DIY House Renovations – money saver or costly nightmare? DIY Home renovations can be a great way to save money. If you have been thinking about getting into the property market, and conducting your own renovations on a “fixer upper” or even planning to update and make a few changes to your own home, you are not alone. Well planned and executed renovations can add considerable value to a home, however if you do not have adequate experience or the necessary skills, it can lead to poor finishes. While the internet has opened up an endless supply of knowledge, watching a few DIY television shows such as The Block, or House Rules is no substitute for years of on-site experience and training. Very often our inspectors here at Melbourne House Check encounter homes that have been poorly renovated (eg poor paintwork or tiling, poorly fitted cabinetry and flooring, or renovations are incomplete due to the owner realising the work was over their head and has resulted in the dreaded ‘Money Pit’. Regardless of the task, whether it is painting or knocking down a wall, planning ahead is the key. A successful and high quality renovation hinges on thorough research and well thought out planning and budgeting. We recommend discussing your renovation project with professionals and skilled tradespeople before commencing your work. When Melbourne House Check complete a Pre-Project or Pre-Purchase Building Inspection, our inspectors are able to provide advice as to the complexities of any renovations you might be considering and answer any questions you might have. We can identify problems which might be encountered along the way, and any areas that might need initial attention. So if you feel that you are ready to take the bull by the horns and start renovating, we are here to assist in any way we can. For an inspection on your home, extensions, investment property or other, please contact us today at melbournehousecheck.com.au or call our team on 1300 729 352.
https://melbournehousecheck.com.au/site/wp-content/uploads/2017/09/DIY-Roof-Melbourne-House-Check-1.png 217 369 Nick Bielawski https://melbournehousecheck.com.au/site/wp-content/uploads/2016/01/mhc_new_logo-1.png Nick Bielawski2017-09-22 08:35:572017-09-22 08:35:57DIY House Renovations - money saver or costly nightmare? 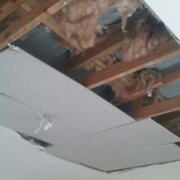 Throughout the time we have been conducting Pre-Purchase House Inspections, we get countless questions from home buyers, home owners, renters and real-estate agents about asbestos. Will you be able to identify whether asbestos is present? Will you test for asbestos? Can you identify whether this or that material is an asbestos product? Our inspectors here at Melbourne House Check have significant experience in the building industry and can identify many of the signs that might indicate whether a product contains asbestos, however to be clear – even for a fully trained asbestos specialist (which our inspectors are not), it is impossible to determine whether a product does or does not contains asbestos until a sample has been taken and tested under laboratory conditions. Note : asbestos materials present as a serious health hazard and exposure can cause serious health issues and asbestos-related diseases that can take may years to become evident. For more information visit https://www.mesothelioma.com/. In Australia, the use or import of asbestos products was banned in the mid-1980s. However over 3000 building products were manufactured containing asbestos, and if your property was constructed prior to 1986, unless constructed entirely of metal and/or wood it is likely that some aspect of the property contains asbestos. The list of products that MIGHT contain asbestos sometimes appears to be endless. If you are looking at purchasing an old home, it is likely that it will contain some asbestos. In most cases, it’s not a major concern. Asbestos doesn’t do any harm as long as it remains intact and nobody breathes in the asbestos fibres. Our inspectors at Melbourne House Check will be able to help identify whether there are any materials in or around a dwelling that MIGHT contain asbestos, the general condition of the identified material, and whether further testing will be required by a suitably qualified professional. This is the question many people ask when looking for a new property. Sometimes it is about saving a few bucks when financially strained, other times a last minute decision to purchase, means time restrictions are placed on obtaining a building inspection in Melbourne, and a decision is made not to proceed. 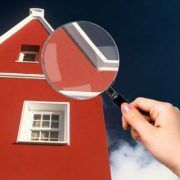 A pre-purchase building inspection conducted by a qualified inspector can provide home buyers with a number of invaluable insights. The decision NOT to get an inspection can be a huge mistake and cost an ill-informed buyer large sums of money once the expensive and potentially dangerous defects arise after settlement of a house. A short-term saving achieved by forgoing such an inspection can turn into a longer-term nightmare if there are structural defects, building defects, unapproved structures and potential risks from future water damage or asbestos linings. Buyers who invest in them go into a property purchase with peace of mind, or with their eyes fully open and are able to budget for subsequent costs. If you are looking for a property and considering whether to obtain the professional opinion of an experienced inspector, please ask yourself whether an additional $590.00 would have much bearing in the long term. Compared to if you opt not to proceed and are unaware of extensive foundation problems or other costly problem down the track. If however you have decided to proceed with an inspection, but are shopping around for the best price – you will find costs vary considerably in the industry. For the companies charging in excess of $700.00 – $1,000.00, this is above what is considered a reasonable price for a building and pest inspection and the reports are often less detailed and the inspectors often have less experience than us here at Melbourne House Check. On the other hand, cheaper quotes can often mean inexperienced inspectors and an inferior report. Please be aware there is no regulatory body in the state of Victoria to ensure building inspectors are suitably qualified or experienced. Inspectors here at Melbourne House Check have over 20 years experience each in the building industry, including trade backgrounds, engineering degrees, and other qualifications. Please call us on 1300729352 or contact us online at melbournehousecheck.com.au with any queries which can be answered by our experienced staff. We conduct inspections Melbourne wide and are waiting for your call. A pre-purchase inspection with Melbourne House Check is an investment in your future! https://melbournehousecheck.com.au/site/wp-content/uploads/2014/09/inspector.jpg 314 560 Nick Bielawski https://melbournehousecheck.com.au/site/wp-content/uploads/2016/01/mhc_new_logo-1.png Nick Bielawski2017-07-18 17:50:062018-04-17 06:11:53Is a building inspection really worth it? When conducting pre-purchase building inspections, one of the most common issues we find under houses (in the subfloor) is water leaking from wet areas such as bathrooms, laundries and kitchens. Although it may sound minor, if left untreated even a minor water leak can be an expensive exercise to rectify. Especially if it has been actively leaking undetected for some time, leading to serious water damage to walls, flooring, and often causing structural decay to floor framing as well as affecting the structural foundations of the dwelling. Water leaks can be caused by a number of reasons. Some of the more common ones we encounter include leaking shower / sink wastes, a dripping water pipe in wall cavities or under the floor, a faulty appliance (such as a washing machine or dishwasher), or even water splashing onto the floor from a bath or shower which leaks through gaps in loose tiles or other floor coverings. Some signs that you can look out for, (other than puddles of water in strange places) include – discoloration of plaster or other wall linings (water spots or stains may appear yellow or brown). Changes in texture of any timber flooring or other product, this includes, warping, buckling, sagging or sinking. Odours caused by mould or mildew can also be a good indicator to the untrained person. However in some cases it is not always easy to detect leaks if the water is running into the subfloor or other concealed area, and it is therefore always recommended to check areas not normally accessed by a trained professional, especially if you are thinking about purchasing a property and you want to ensure there are no unexpected costs to repair decayed timbers or subsided foundations. Recently one of our inspectors at Melbourne House Check was conducting a routine Building and Pest Inspection at a property in the northern suburbs of Melbourne. The house was well presented and to the inexperienced home buyer looked like a problem free house. 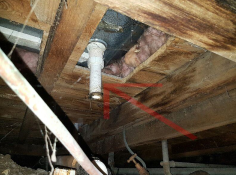 However upon closer inspection of the subfloor under the bathroom found that the bathtub waste was not connected, and every time the plug was released, water was gushing into the subfloor void. The ground was so waterlogged, foundations for surrounding stumps had shifted and restumping works were going to be required to a significant section of the dwelling. It just goes to show that even a minor leak as simple as a bath leak, can cause several thousands of dollars damage. Termites vs Rot – Would you know the difference? Termites are renowned for being very secretive and deceptive, but rest assured if you have them in your property our inspectors will locate them. We have state of the art equipment and years of industry experience that ensures if they have taken up residency in your house, we will find them. We had a call recently from a client who was alarmed because they were certain that they had termites in their house. He simply wanted us to refer them to a specialist who could safely remove the termites for him and ascertain the cost of restoration. Upon further consultation and discussions over the phone, it was agreed that a building and pest inspection would be carried out by one of our experienced inspectors. Upon review of the area during the site visit, it was found that the self-diagnosis of termite infestation by the client was incorrect, and wet rot was found to be the cause of the damage to door frames and other areas of the property. As the treatment of termites vs fungal decay is very different, a correct diagnosis is imperative before arrangements for rectification can be made. Just a quick note of appreciation for recommending I carry out a full building & pest inspection. Your inspector was able to determine that the damage in our home was in fact wet rot decay and not termites as I had previously suspected. This expert advice has saved us lots of time and potentially thousands of dollars. You will be my first call if I have any other property concerns in the future. I have termites in a tree stump outside, can they come into my house? 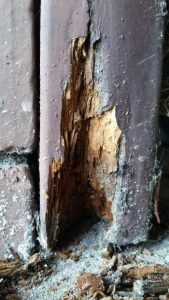 https://melbournehousecheck.com.au/site/wp-content/uploads/2017/05/Termite-or-rot.jpg 608 342 Nick Bielawski https://melbournehousecheck.com.au/site/wp-content/uploads/2016/01/mhc_new_logo-1.png Nick Bielawski2017-05-09 05:22:502017-05-09 05:23:40Termites vs Rot - Would you know the difference?